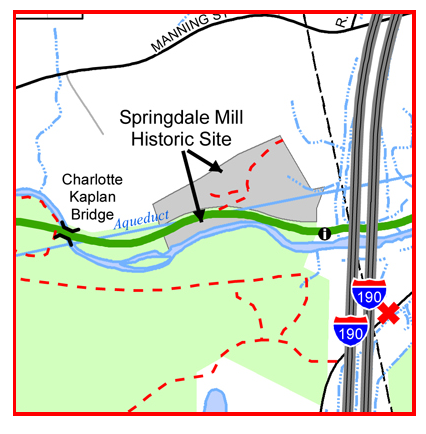 The first two images are: MCRT Section 3 map & an enlargement of the Springdale Mill site. 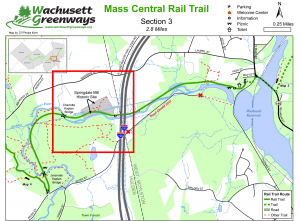 More MCRT maps can be found in the Maps and Trail Sites area. Clicking on any map will show an larger version of the map. 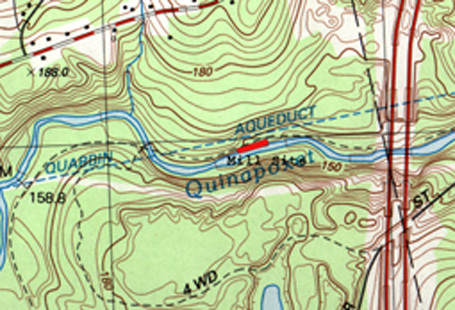 This topographic map shows the location of the site, relative to the local geography. 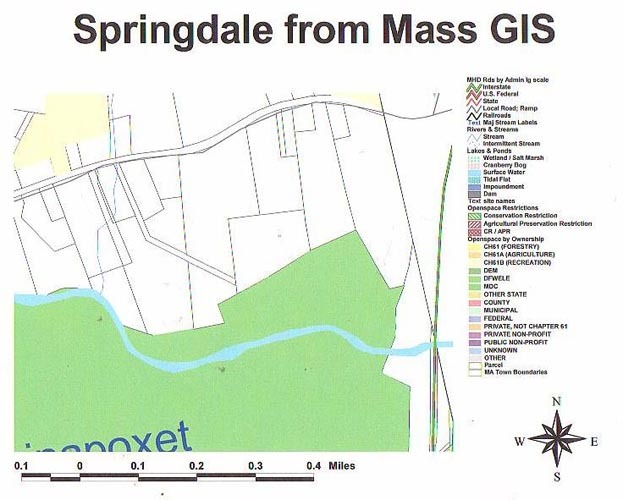 Red area marks spot of the Springdale Mill Site, Holden, MA. 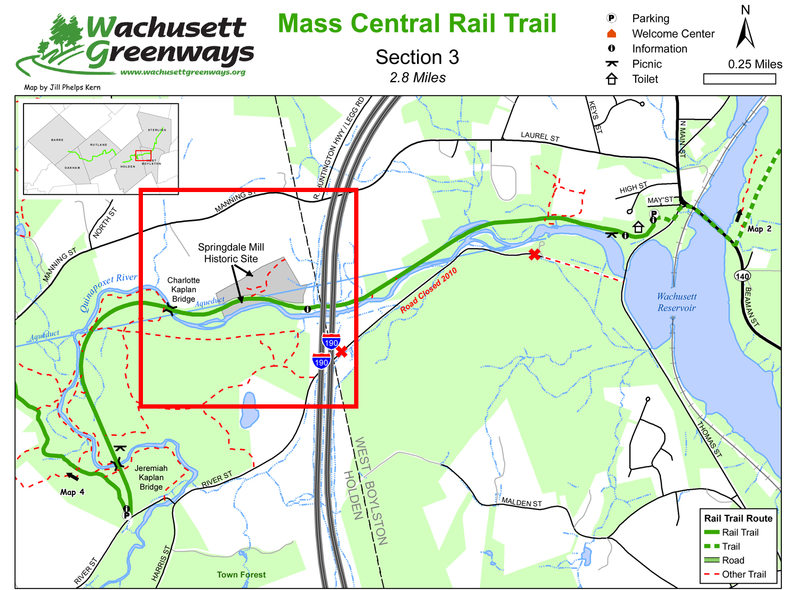 The dotted line next to mill site is the Mass Central Rail Trail. The red vertical lines on the right are I-190 lanes.